Sir Howard is the Former Director of the London School of Economics and Political Science. Prior to his current appointment he was Chairman of the Financial Services Authority, the UK’s single financial regulator in 1998. Davies had previously served for two years as Deputy Governor of the Bank of England after three years as Director General of the Confederation of British Industry. From 1987 to 1992 he was Controller of the Audit Commission. From 1982 to 1987 he worked for McKinsey & Company in London and during 1985-1986 was seconded to the Treasury as Special Adviser to the Chancellor of the Exchequer. He had previously worked at the Treasury and the Foreign and Commonwealth Office, including two years as Private Secretary to the British Ambassador in Paris. Sir Howard is the chairman of the UK Airports Commission, set up in 2012 to make recommendations to the British government on airport capacity in the South East of England. 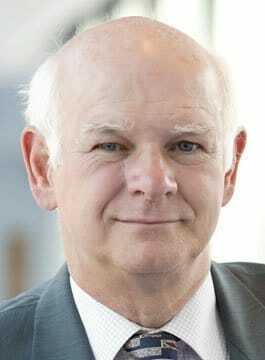 Sir Howard Davies was educated at Manchester Grammar School and Merton College, Oxford, where he gained an MA in history and modern languages. In 1979 he was awarded a Harkness Fellowship and in 1980 took an MSc in management sciences at Stanford Graduate School of Business, California. Since 2002, Sir Howard has been a Trustee of the Tate. He is a member of the governing body, Royal Academy of Music; Patron of Working Families; and in 2004 was elected to an Honorary Fellowship at Merton College. In 2004 he joined the board of Morgan Stanley as a non-executive director. He was appointed to the Board of Paternoster in 2006 as a non-executive Director, and chaired the Man Booker Prize in 2007. Davies has written two books, the first of which “The Chancellors’ Tales” was published in November 2006. His second book “Global Financial Regulation: The Essential Guide” co-authored with David Green was published in March 2008.